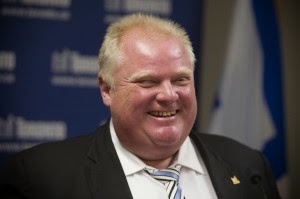 Toronto Mayor Rob Ford says he wants us to trust him. Really! Trust him with or about what? Trust him that he will not relapse, BUT, he is not willing to promise us that he will not drink or use again! Wow! Politician par excellence. But not really. That “interesting” statement (trust me) is what self-centered and narcissistic addicts proclaim when they have yet to hit bottom and are not willing to take responsibility or be accountable for their recovery. Rob throws in there a tad bit of truth, that he can’t make promises over something he has “no control.” Absolutely correct. As addicts, we are control freaks, and our addiction slaps us right smack in the face because as much as we try to convince ourselves to the contrary, we have no control over our addiction. BUT, we are still “required” by our own integrity if we have any, to be accountable and responsible for what we are going to do about something we have no control over. What Rob DOES HAVE CONTROL over is how he is going to address his addiction and what steps is he going to take to live a lifestyle that runs counter to his addiction and a life style over which he has ABSOLUTE CONTROL. *that he is going to attend a twelve step meeting every day. *He can promise us that he is going to practice living other-centered rather than self-centered. *He can promise us that he is going to search out a God of his understanding rather than the god of his addiction. *He can promise us that he is going to hang out with folks who will support him living clean and sober. *He can promise us that he is going to have a “sponsor” who will personally walk his walk with him each day and hold him accountable and responsible for keeping his walk in line with his talk. *He can promise us that he is starting and leading a support meeting each day for all the other folks in his administration who are addicted to one thing or another. OH YES, ROB FORD, there are LOTS AND LOTS OF PROMISES YOU CAN MAKE US. So we are waiting.